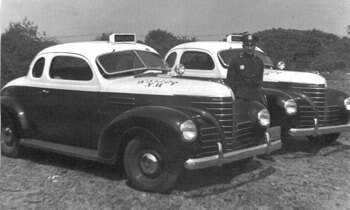 (update) now with three additional shows and sponsored by Lever Brother's Rinso and Lifebuoy Soap, Call the Police was billed as "a new series of realistic radio dramas inspired by the courageous work of police departments all over America." This collection contains all known episodes to be in existence of this rare series. "Case of the Violent Vegetable"
be safe and sometimes, he gives up his life to protect yours…"
A summer replacement for Amos and Andy, Call the Police was billed as "a new series of realistic radio dramas inspired by the courageous work of police departments all over America." In one episode, WWII veteran, recent graduate of the FBI academy Bill Grant returned to his hometown after the death of his father, a police sergeant killed in the line of duty. Grant found his hometown in the grips of crime and took on the role of police commissioner to save his town. 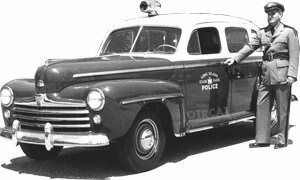 Sponsored by Lever Brother's Rinso and Lifebuoy Soap, Call the Police ran three summers from 1947-1949. Each show ended with an "Award of Valor" awarded to a real police officer who showed bravery in the line of service. This collection contains all known episodes to be in existence of this rare series. Be the first to comment on "Call the Police"